Lakeshore unit on three levels. Main level includes a living room with gas fireplace and sofa sleeper, full kitchen and dining area, deck and a bedroom with whirlpool tub and private bath. Upper level includes two bedrooms. The Lakeside Suite has a queen size bed with gas fireplace, whirlpool tub, private bath and wet bar with a microwave and mini-refrigerator. 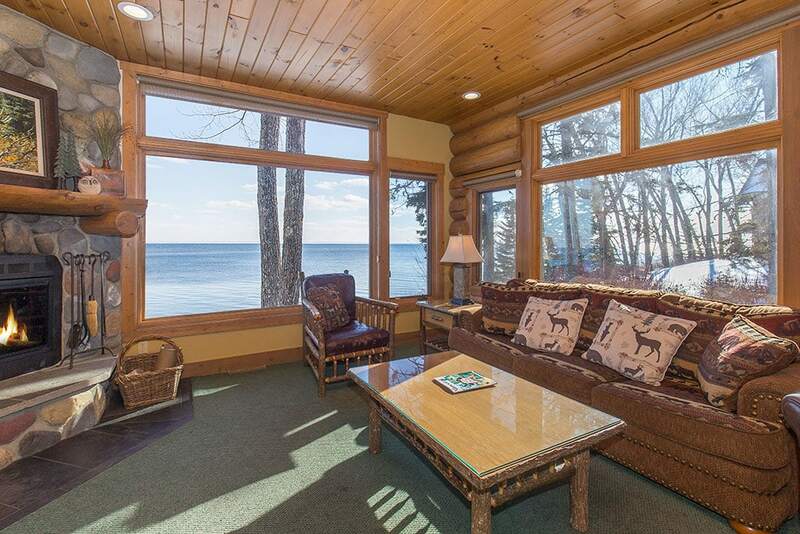 Lake level features a walk-out patio with a bedroom with gas fireplace and private bath. TV/VCR/DVD. The perfect home for “the whole family”, family reunions, wedding parties or a gathering with friends.